At MAAS we make sure that our clients are well located at the POP. Our merchandisers are highly trained strategically located throughout the island, MAAS has over 15 years of experience handling placement of innovative fixtures, point of purchase materials, signage, pricing and product. Our reporting systems allow our clients visibility into every part of the merchandising project, guaranteeing total control at every step. We also provide our clients with our exclusive Natural Insight system which allow you to see how many stores have been visited, product stock, process orders and a detail description of every visited store. 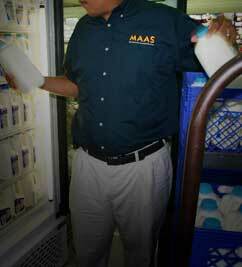 MAAS is the only World Alliance member in the caribbean since 1997. Our exclusive IVRS software allows you to see how many stores have been visited, product stock, process orders and a detail description of every visited store.